Halloumi Cheese is a truly traditional Cypriot product. This exquisite semi hard Cypriot cheese is made from sheep, goat and in some cases cow’s milk. Halloumi Cheese has a prominent position in the diet of Cypriots since ancient times and its production making process passed from generation to generation. Beside its unique, truly captivating taste, Halloumi Cheese can be used in many food recipes. 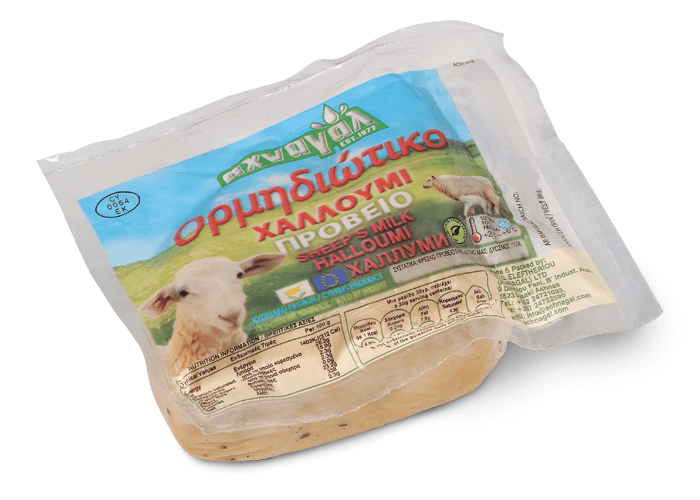 About "Village Red Halloumi (Sheep's & Goat's)"
You can serve Halloumi Cheese either fresh or matured. When matured, Halloumi Cheese gives out an even better saltier taste. It is the perfect combination with some refreshing watermelon, with Lountza in sandwiches or grated in pasta dishes as a main course. You can pair it with Coumandaria, semi-sweet and sweet wines.